Man has existed from the beginning of the formation of the universe. He was there in potential with the first union of spirit into matter. Destined to experience matter, the monadic principal, our spiritual soul, has and will continue, to pass through every form of material existence. Atma, the omnipresent, eternal and boundless One and Buddhi, the representation of that One principle manifested in matter, are said to be the first and second principles in the constitution of man; they form what is called the divine monad. Fohat, which is described as being an Occult electric, vital power, is said to be directed by divine thought, the creative logos, (Dhyan-Chohans) present at the formation of the universe, unites and brings together all forms; this divine thought is represented as Universal Mind and manifests in ourselves as Manas. This completes the third part of what theosophical literature calls our higher triad, our Spiritual Soul. 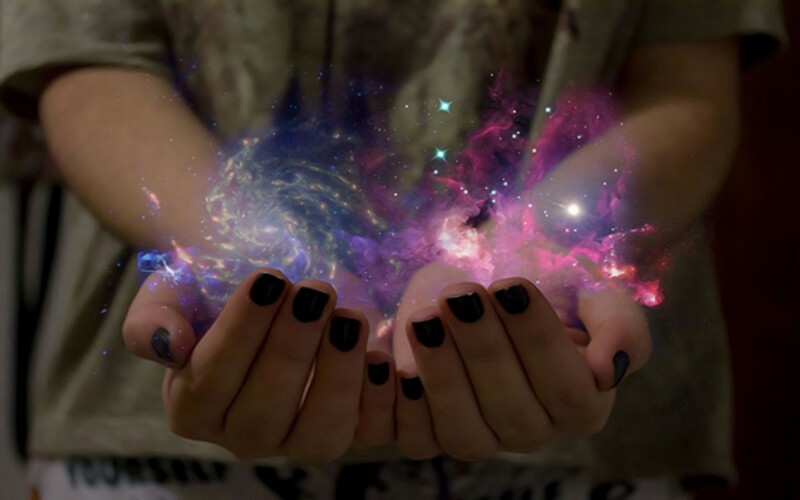 We are therefore, indeed made of star dust and our very essence, the spiritual part of our being is eternally connected to the whole universe. Fohat traces spiral lines to unite the six to the seventh — the Crown ………….